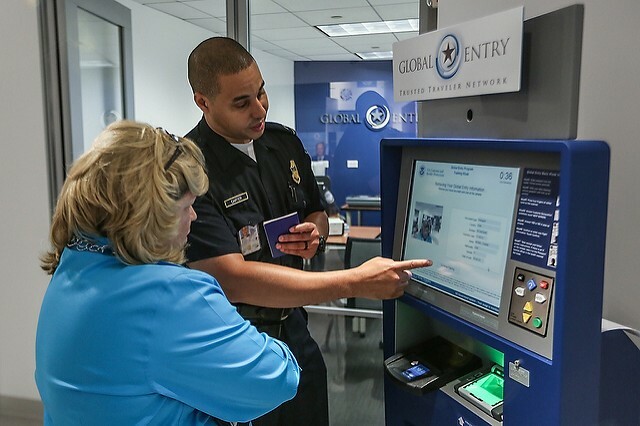 The US Customs and Border Protection agency (CBP) has launched a service that makes scheduling a Global Entry Interview easier than before. This service titled “Enrollment on Arrival”, allows travelers to add their Global Entry Interview to the immigration process in an effort to make international entry easier. The Global Entry Interview is a common immigration program for travelers returning to the United States and by launching this new program, the CBP hopes to make some time-saving changes. The Enrollment on Arrival program will allow international travelers to skip the frustrating task of waiting up to months to schedule a Global Entry interview. Once approved for the Global Entry program, international travelers can make their way to Global Entry kiosks to scan their passport, and fingertips before being directed to baggage claim. Global Entry members are also able to take advantage of the TSA Pre-Check program as an added bonus. US citizens, nationals and Lawful Permanent Residents are all eligible for this program as well as Canadian citizens with a NEXUS pass. Countries with trusted traveler arrangements like Mexico, Germany and the United Kingdom are also eligible for Global Entry. In order to be a part of the five-year membership program, travelers are required to submit applications online and successfully pass a thorough background check before speaking and interviewing with an on-site CBP officer at selected airports. While some travelers may have completed these online steps and submitted the online Global Entry application form, it is still required that they complete the interview in-person to become a member. The program also requires a fee of $100 before the interview can take place at one of over 100 Global Entry Enrollment Centres. These centres also include those in Canada and Qatar. Travelers should note that Global Entry members are still open to further examinations if required upon arrival to the US. This new service is currently available at selected airports throughout the US including New York (JFK), Tampa (TPA) and San Francisco (SFO), as well as some Canadian and international airports that include Toronto (YYZ), Vancouver (YVR) and Dublin (DUB). For a full list of countries, check out the CBP website here.